WORK on a new €12 million primary care centre in Baltinglass is expected to begin in the coming weeks. 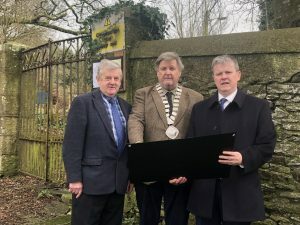 The new 18,000sq ft premises will include HSE services, an ambulance station and GP quarters, to be developed on the site of the former convent in the town. The project will be undertaken by Remcoll Capital Ltd, which developed Carnew’s primary care centre in 2016. Work on Baltinglass Primary Care Centre is expected to begin in the coming weeks. As part of the project, the old convent building will be retained and refurbished.